Egypt won't allow Israeli MDA teams to Taba, where three tourists and a driver are dead and 33 are wounded after a terror bombing. Egypt has refused to allow Israeli Magen David Adom ambulances and emergency teams to Taba, where four people are dead and 33 injured after a terror bombing Sunday. Three of the dead are tourists from Korea and one is a bus driver. An Egyptian security official told Egyptian newspaper Al-Youm a-Saba that Egypt is on the highest alert following the attack. The Taba terminal has been reopened to Israeli tourists who are in Sinai and wish to return to Israel. Some of the people injured in the terror attack had still not been treated, several hours after the attack, yet Israeli ambulances that could have helped them were stranded in Eilat due to Egypt's refusal to let them in. Despite this, MDA Director Eli Bin has instructed MDA teams in Eilat to maintain a state of high alert, and all of the city's ambulances and intensive care vehicles remained manned Sunday evening. The attack at Taba comes as Egypt continues its crackdown on Sinai terrorism and on Gaza’s Hamas rulers. 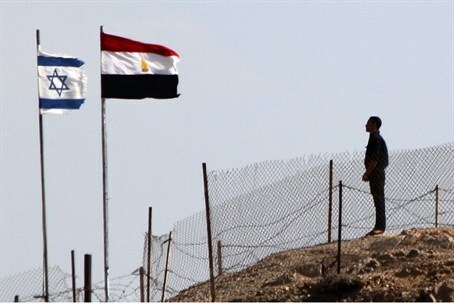 Egyptian border forces reportedly destroyed 10 tunnels and seven homes in the Sinai Saturday, as part of new campaign to create a buffer zone along the border with Gaza that would extend 500 meters in some places. The campaign began with a military operation in the border town of Rafiah, where tunnels leading into Gaza were targeted in the neighborhoods of al-Brahma, al-Sarsuriya, Salahudeen, al-Helwat, and Zoraba, an Egyptian security source told Ma’an. He explained that the move was part of a wider campaign to set up a buffer zone along the border with Gaza that would extend 300 meters in populated areas and 500 meters in open areas.